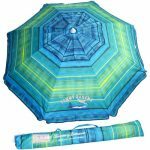 Tommy Bahama Sand Anchor 7 feet Beach Umbrella with Tilt and Telescoping Pole Special aluminum undercoating protects against the sun’s harmful rays. 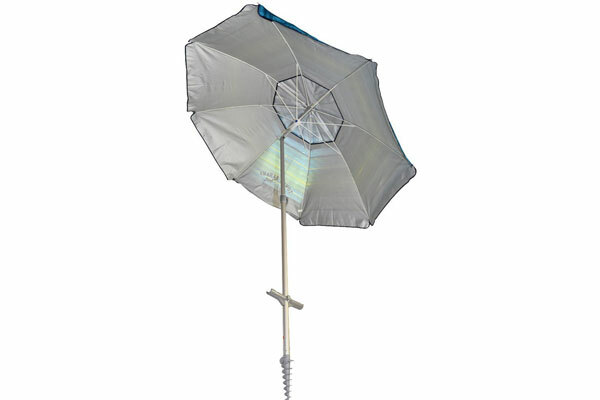 • Wind vent added for stability. 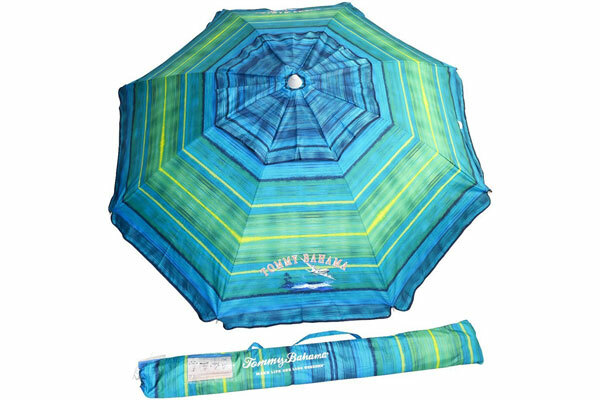 • Can be used wherever protection from sun is required. 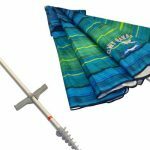 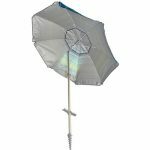 • 7 feet/ 2.13 meters sand anchor beach umbrella. 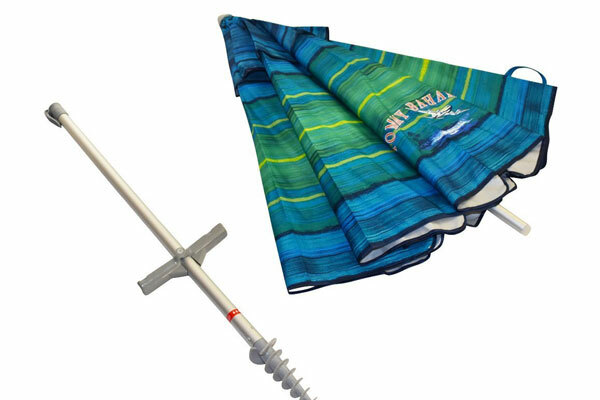 • Integrated sand anchor secures your umbrella with a simple twist.